Automatic waiting - Using Cypress, you do not need to specify explicitly to wait for the DOM to load, elements to become visible, the animation to be completed, the XHR and AJAX calls to be finished, and much more. 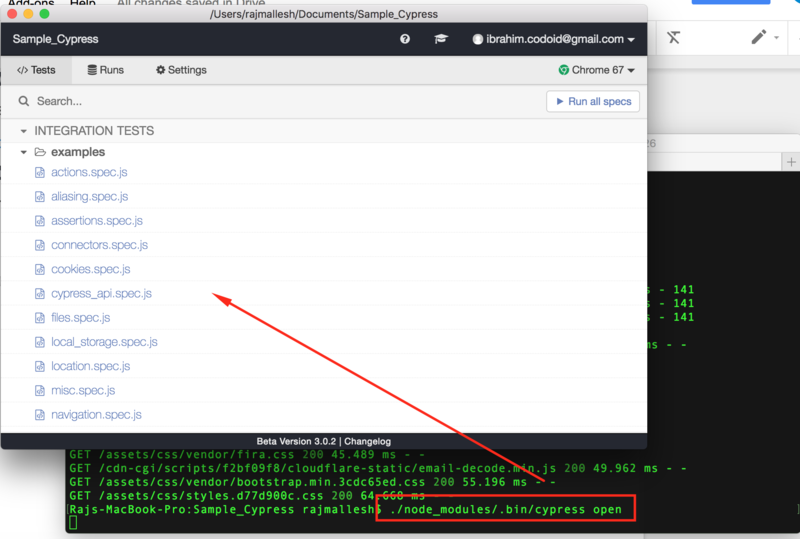 Real-Time Reloads - Cypress triggers automatic running of your script when you save the script file you are working with (xyz_spec.js file). Usually other frameworks needs manual triggering to run the script. 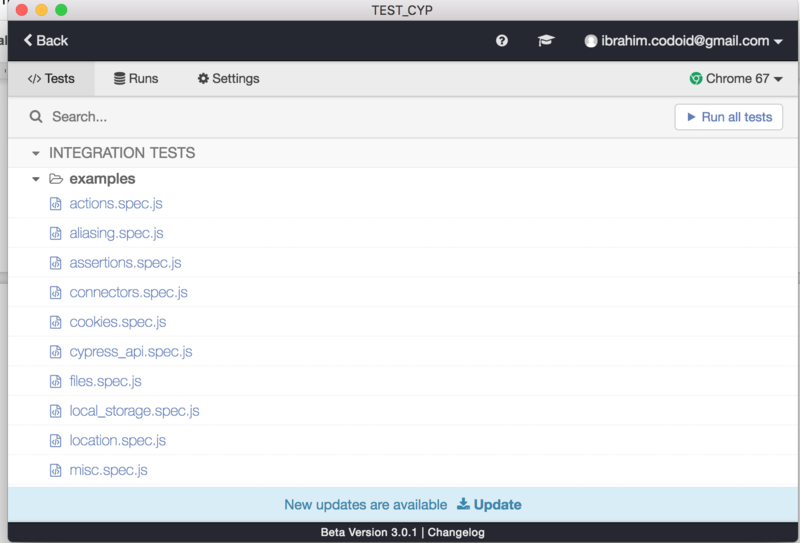 Debug ability - Cypress gives you the ability to directly debug your app under test from chrome Dev-tools, It suggests you how to approach an issue while it pops out an error message. Fast, It takes a max of 20 ms response time. There are two ways to use this tool in your PC. Download the zip file for Desktop by hitting the download button, extract the files and install in your machine. Mac OS 10.9+ (Mavericks+), only 64bit binaries are provided for macOS. Windows 7+, only 32bit binaries are provided for Windows. Linux Ubuntu 12.04+, Fedora 21, Debian 8. 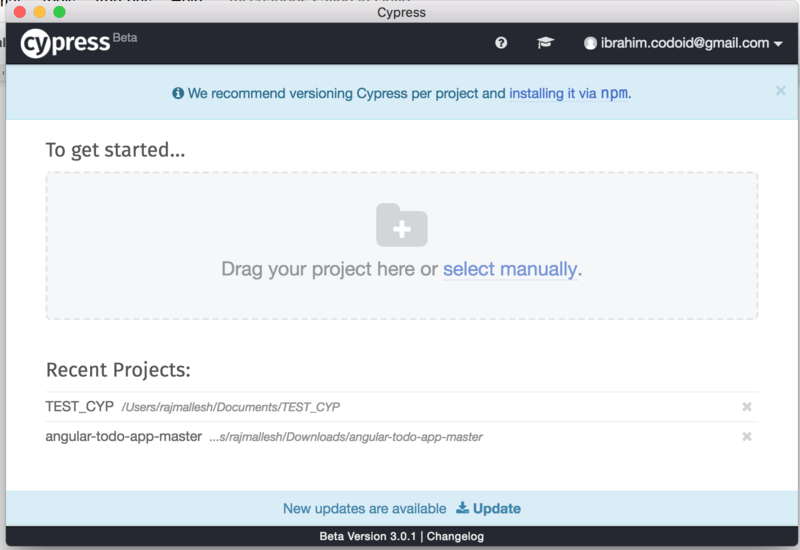 You can create a new separate cypress project and you can also add a cypress project to an existing projects, to achieve this follow the below steps. 1. User can drag and drop your project or empty folder. All executable files should be in the Integration folder, the spec.js files are available in the integration folder. 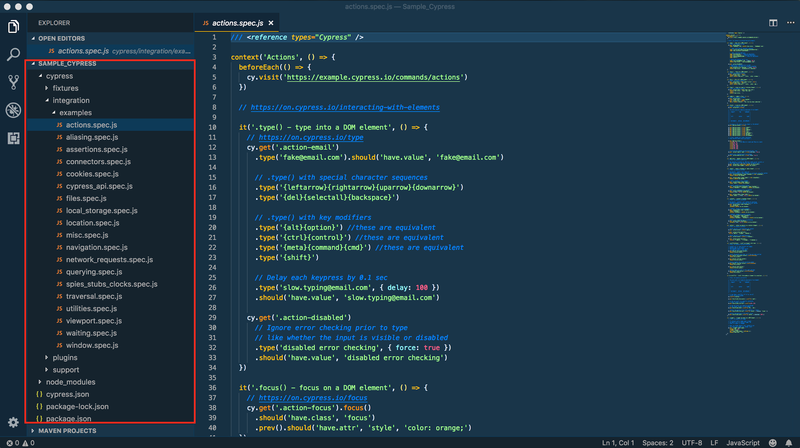 If you need to automate an application, create a spec.js file in the integration folder and start developing the script. Open your project or a new folder in the command prompt and initialize the npm to create a package.json file, use the below code to initialize it. Note: npx is included with npm > v5.2 or can be installed separately. After a moment, the Cypress Test Runner will launch. 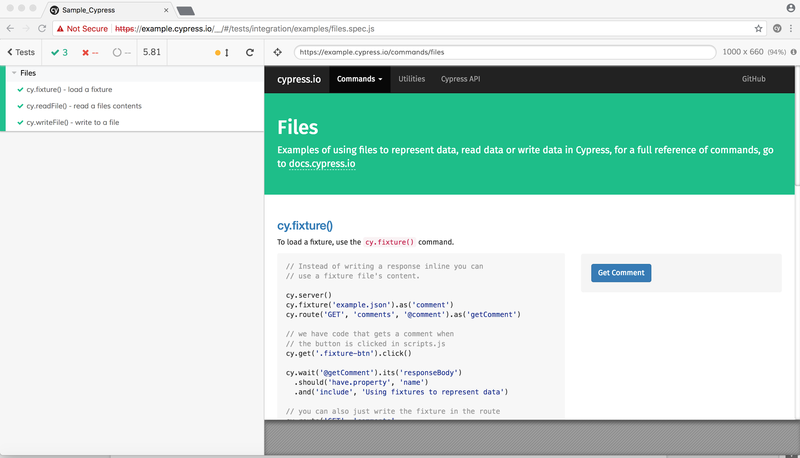 Open the project path in your editor(VS Code, Atom, etc), it should contains the ‘cypress’ folder and ‘cypress.json’ files. 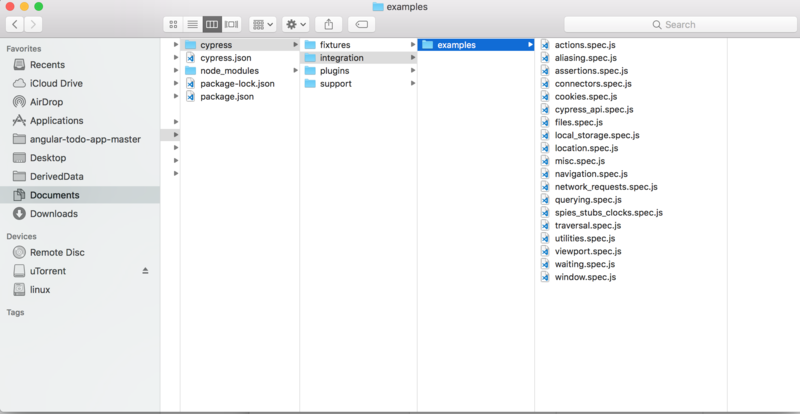 In the ‘cypress/integration’ folder it will have the example folder, that folder contains lot of examples ‘spec.js’ file. 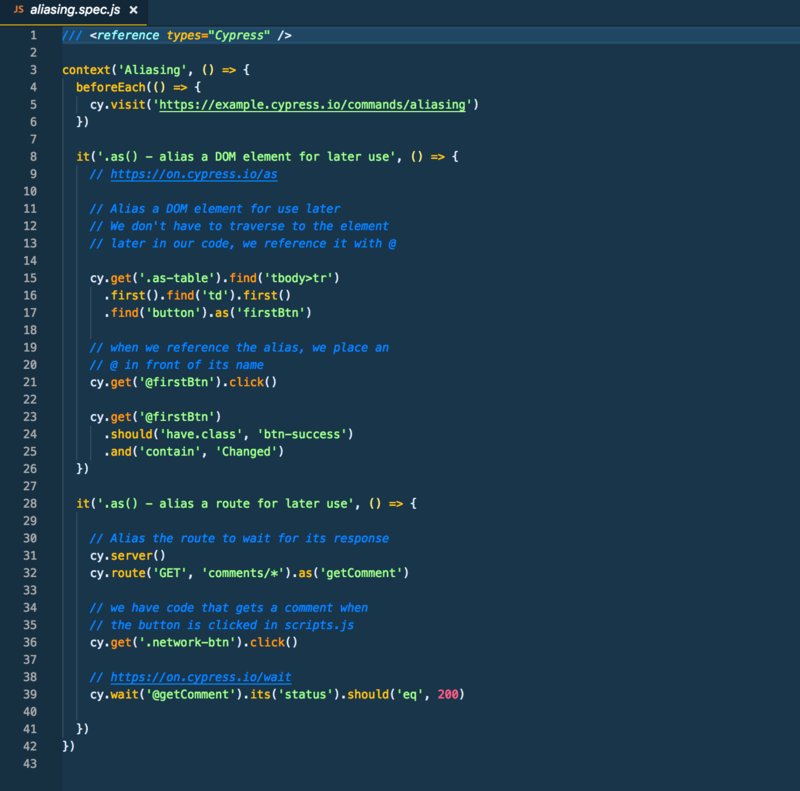 The ‘spec.js’ file will contain the examples of automation scripts.